Lowest Priced Home in San Ramon, Highly Sought After Award Winning Schools. 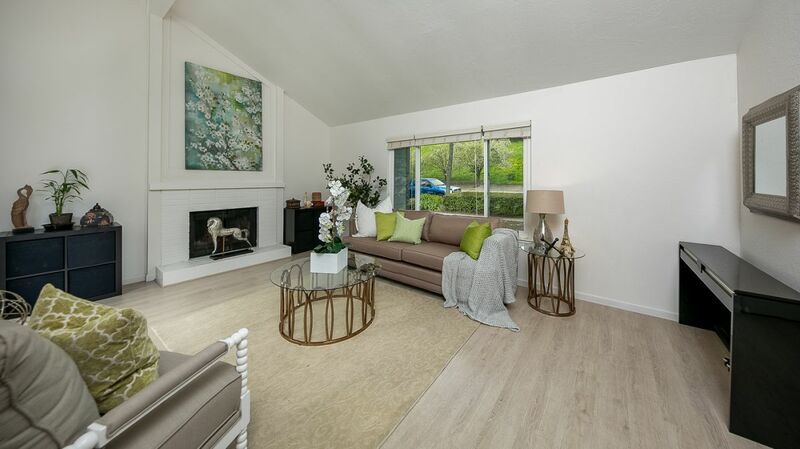 Located in Central San Ramon, this beautiful remodeled home offers 3 bedrooms, 2 baths & 1500 sqft on a single story. The living room is spacious with vaulted ceiling and a cozy wood-burning fireplace. Gourmet kitchen with granite counters, island & stainless steel appliances. Formal dining. Surrounded by 2 private courtyards which added great lighting, additional area to entertain and play. Large master suite with walk-in closet, double sink vanity & a beautiful shower. New windows, sliding doors & wood flooring throughout. Recessed lights. Attached 2 car garage with new driveway. New roof. New paint. Views of stunning rolling hills, a quiet & peaceful setting. 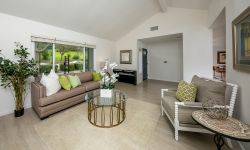 Located near the City Center Bishop Ranch which offers dining, shops and a state-of-the-art movie theater. Close to Iron Horse Trail, parks and the sought-after award-winning San Ramon Schools. HOA due $148/mon. It covers for community pool, a grassy lawn and master insurance. Total 50 homes in this Meadowood Community. These homes are condos and treated as single family homes. 25% of homes can be rented at a time. Pets friendly community. - Award Winning Schools: Montevideo Elementary, Pine Valley Middle, and California High School. - Central Park is just down the street where you can play tennis, swing a bat, or use the skateboard park. - Hiking/Biking - Iron Horse trail is a great place to ride a bike or do some jogging. For some challenging and beautiful hiking trails - Las Trampas is located just a short drive away.